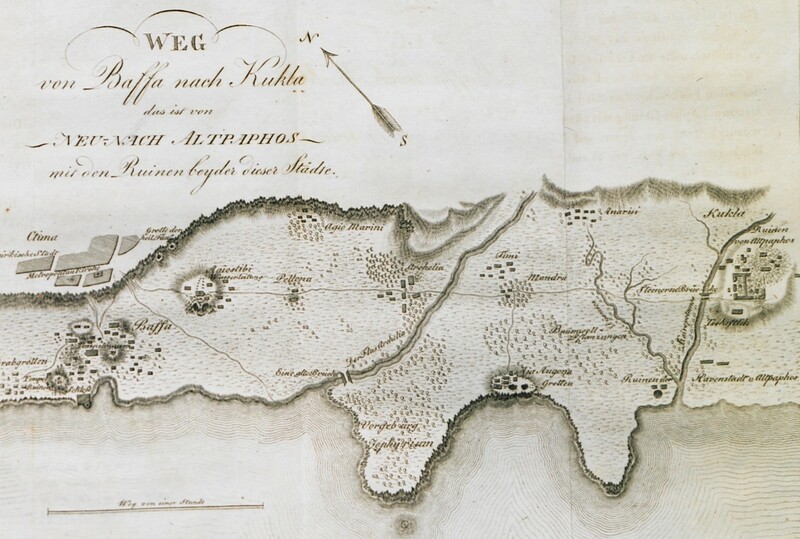 Map of Paphos and Kouklia (Palaepaphos), Cyprus. The archaeological site of Palaepaphos (Kouklia). 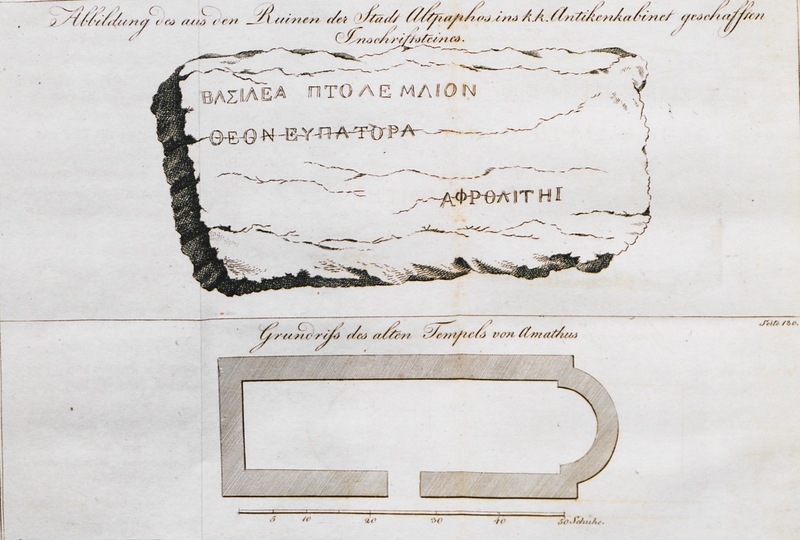 Top: Fragments of inscription from Palaepaphos. 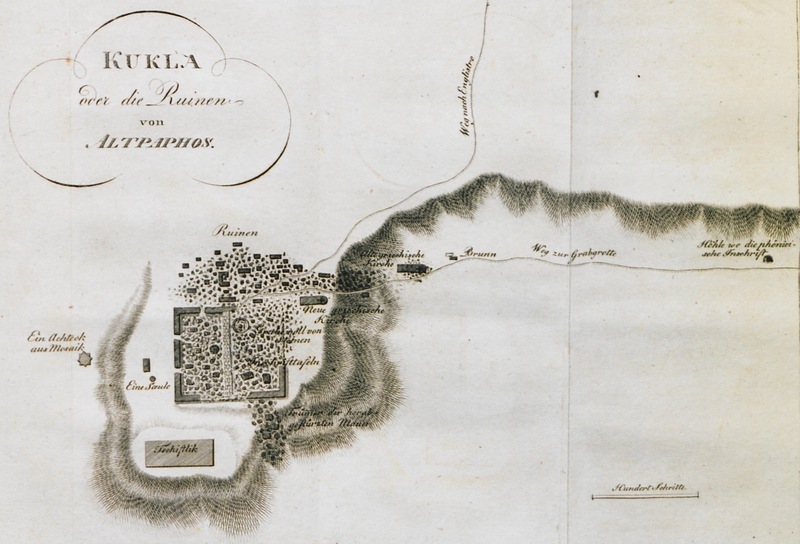 Bottom: Plan of the sanctuary of Aphrodite at Amathus, Cyprus.